Fast growing deciduous tree has a wide, umbrella-shaped canopy with beautiful fern-like leaves. 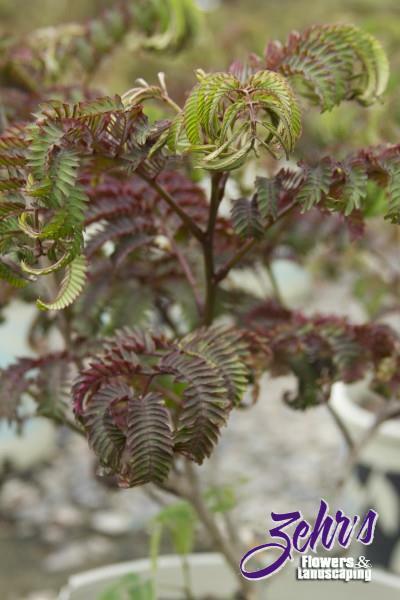 The bronze-green foliage color develops into a rich chocolate burgundy color in summer. Scented clusters of pink blooms attract butterflies.